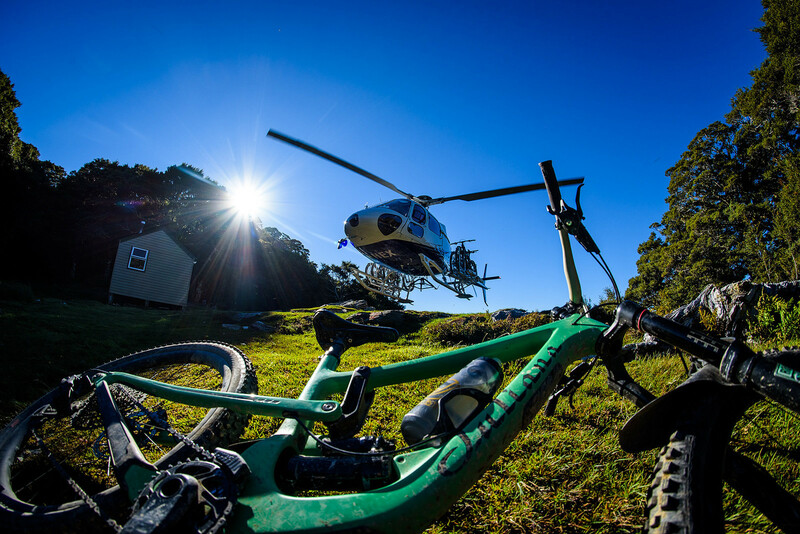 Helicopters and hauling the mail on the menu as the NZ Enduro 2018 goes out with a bang. As a race organiser you are always thinking of ways to deliver the ultimate race experience. As a multi day event this task can become exponentially harder. You need the “warm up” day then the “suffer-fest” day and then the reward day. Today was definitely that day and the Wakamarina trail easily delivered. The first part of the reward was a Heli shuttle up, which lead to the second part; 1500m descending with only 500m climbing. Stage one, straight out the helicopter into some fresh cut loamy trail through ancient old growth moss and lichen covered Rimu and Beech forest. A bit of a trend has emerged in this years race, all the stage one’s have had their fair share of climbing in them. The only time we decide to include these climbs mid stage is when the payoff after the climbs makes them worthwhile, we like it tough but we aren’t masochists. In New Zealand, or at least in these parts a heli-drop is never a straight forward simple one pitch drop. That would be a waste of resources. We use helicopters here to access the highest peaks, but like today, that still means you may have a bit of work to do before you reach the end of the trail. Today it was a 45 minute hike a bike, but luckily you were rewarded with a sublime 12 minute stage that snaked its way down an old gold mining route, shrouded in ferns and dwarfed by huge podocarps. A flat out fast and short stage capped off the long weekends racing after which it was time for a swim in the river then lazing in the sun chinking and drinking beers, having a feed and exchanging war stories of near misses and close shaves. 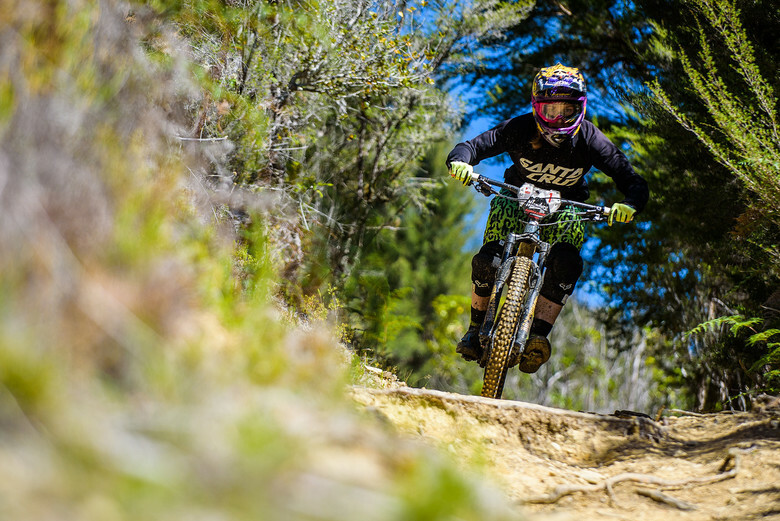 A massive table of spot prizes were handed out, a Silky Saw Off competition held and another big chunk of funds was raised for the NZ Enduro trail advocacy program thanks to all our sponsors generous contribution to our raffle. In the pro women's, despite Harriet Harper winning today, the damage done by Slaco yesterday was enough to retain the lead and take the win for Canada. Uriell Carlson remained consistent throughout the week and rounded up the podium for third. Nick Sutcliffe, Anja Macdonald and Joshua Foster all rode smart today retaining their leads from yesterday and taking the Masters, Open Womens and Open Mens titles respectively. A big congratulations to all the racers who made it to the end. The smiles and high fives received as we handed out the finisher patches for the 2018 Santa Cruz NZ Enduro make it all worthwhile and of course a huge thanks to our dedicated team of volunteers, media, doctors and timing team. Chur bro, see you all next year. 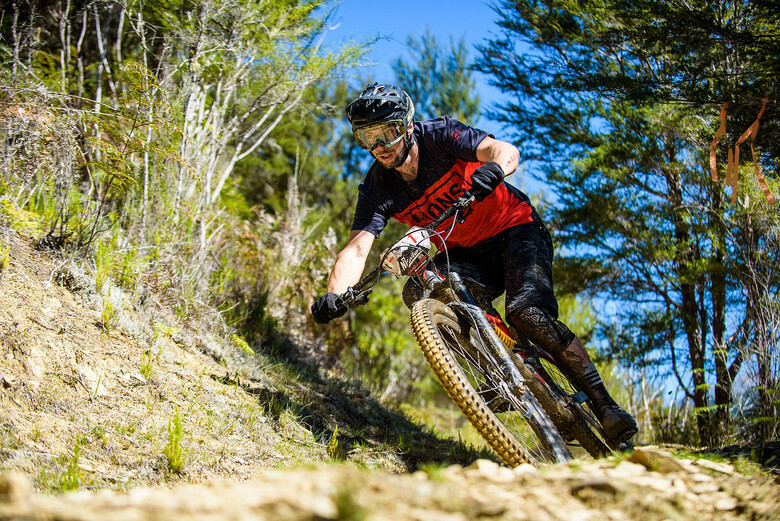 New Zealand’s wildest multi day enduro stage race. Natural single-track in native forests on the magical Marlborough Sounds with helicopter shuttles. Sweet As! Where: The top of the South Island, New Zealand in the beautiful Marlborough region. This area is know for it’s spectacular scenery, great riding, wine, beer, food & lots of sunshine. How many people: 140 sold out racers from 10 countries. 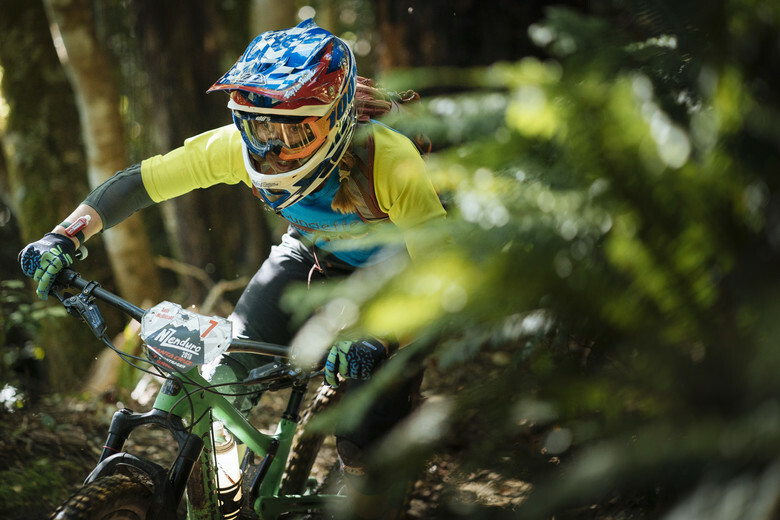 The top of the South Island is beautiful but also wild and rugged, some of the best trails are point to point in nature and normally hard to access .The race route takes in the very best of NZ’s native sacred and sensitive Beech forest riding. Day one starts and ends at the beach in Whites Bay. Then we move on to the spectacular Nydia Track, linking three bays along the Pelorus Sounds’ coastline over four timed stages. We finish in style on the final day, helicopter shuttled to the top of the infamous fern clad Wakamarina track, the crown jewel of NZ native bush track riding.The liaisons are untimed, there is no rigid start order to adhere to and no scheduled practice. Just good old fashioned fun on the bike with your friends; a race within a social setting.